Guaranteed Irish, the leading business membership organisation, is calling for nominations for Offaly’s Food Hero. 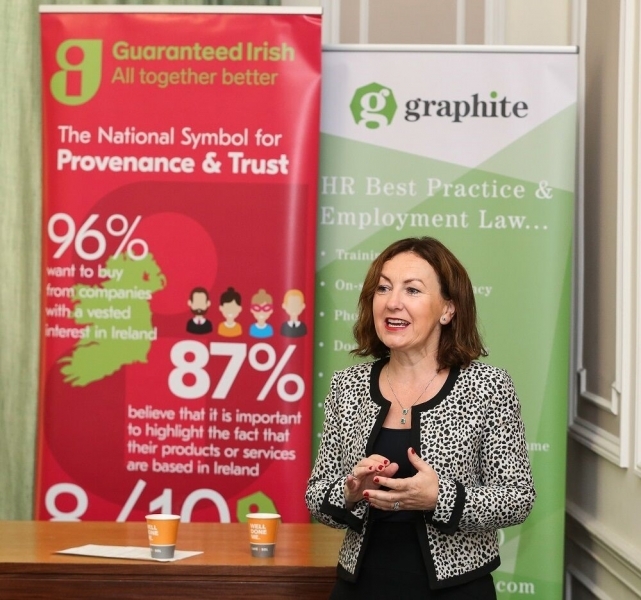 The beginning of the year, the organisation has run the ‘Guaranteed Irish Hero Awards’, recognising the best talent in Ireland across various sectors. To date, awards have been made to high-achievers in the arts, sports, science and music industries. Guaranteed Irish is hoping to find the country’s top food figure. Members of the public are invited to nominate their Guaranteed Irish Food Hero before the deadline of Thursday, 30th November 2017. Launching the call for nominations today (24.10.17), Brid O’Connell, CEO of Guaranteed Irish, said: “Offaly has a thriving food industry, and Ireland has global reputation for excellence in food production. We are blessed to have world-leading chefs, restaurateurs, producers and food brands operating here. To nominate your Guaranteed Irish Food Hero, simply email info@guaranteedirish.ie before Thursday, 30th November 2017, or use the dedicated hashtag: #GIhero on social media, including details of your nomination. · Music promoter Keiron Campbell Black (Music Hero). Aim of the initiative is to champion exceptional individuals who have demonstrated a commitment to creating a better Ireland in their respective sectors. Further information is available at www.guaranteedirish.ie.